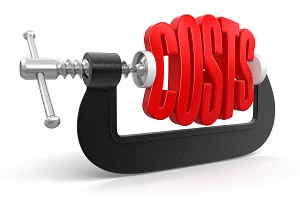 In a maintenance management system, the cost contributes both to quantify financially the use of a given maintenance item or the loss of not being able to use it as required. Maintenance manager: – This year maintenance performed very well. Practically no break downs; no stoppages; costs were much better than last year! Chief accountant: – What!? You do not know the figures. We have spent much more with contractors and the overall maintenance costs were scandalous. 16 % above last year’s! In another conversation, the Chief Accountant: This year yes, it was good. We have spent 22 % less than last year. Maintenance manager: – I beg your pardon! Main generator has been inoperative for 3 weeks; no supply of energy and steam; we still have a 20 day repair in front of us! Your figures have gone mad! These dialogues illustrate the different perspectives of both managers and could take place around many subject matters.